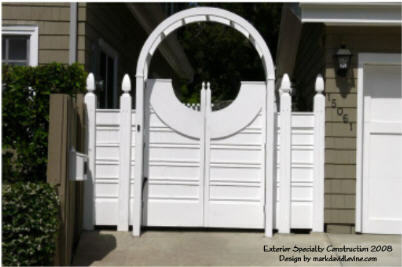 Wood gates and fences custom built in Los Angeles. Wood gates, driveway wood gates with welded metal frames and wooden fences we custom design and build in the Los Angeles area that enhance and inspire. Each gate is individually created and hand-crafted for the specific needs of the client and the architecture of the site. We do welding, so metal frames and posts can be fabricated to your specific needs, and it can be faced with wood if you want a softer look with the strength and reliability of metal. See our Gates Page for many more pictures and design ideas. 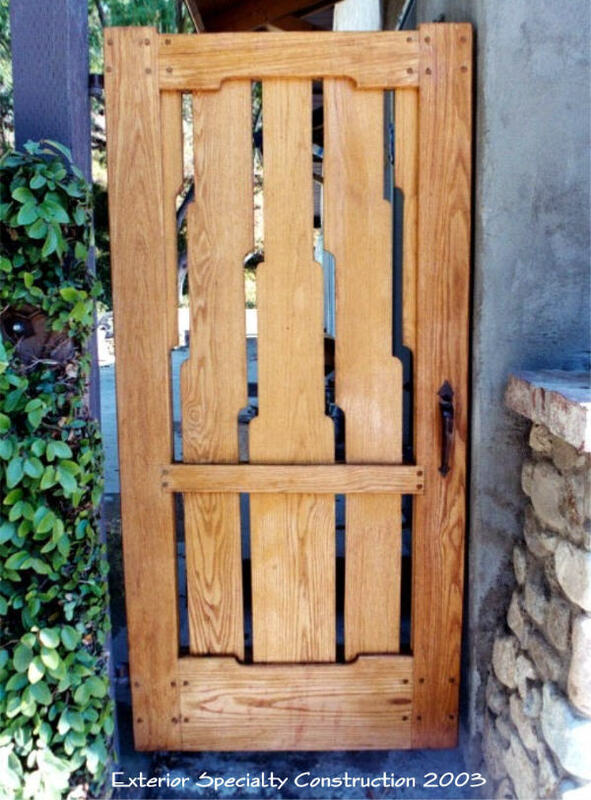 Custom paneled gates in Los Angeles. Brentwood style custom front fence in Studio City. 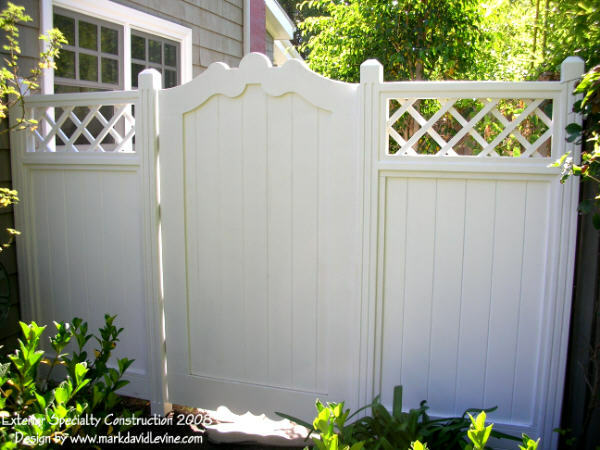 Paneled fence and gates in Pasadena. Craftsman gates in Pacific Palasades. Craftsman gate and fence in Pasadena. See a Slide show of 100+ Pictures! Copyright © 2015 ExteriorSpecialtyConstruction.com All Rights Reserved.